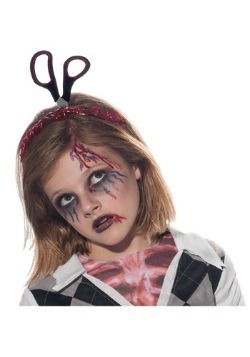 This costume makes us think that this girl might have had a bad night. Not like having your homecoming date totally ignore you all night. Not even like having all of your friends ditch you when they got to the party kind of bad. We are talking about an apocalyptic kind of bad night, where the dance was interrupted by a zombie outbreak that totally killed the mood. 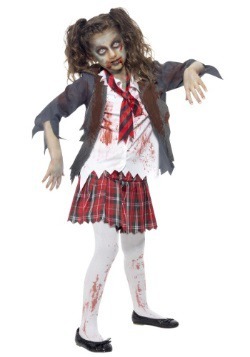 A zombie outbreak at a high school dance would totally ruin the mood. How are you supposed to dance with these lethargic, slow-moving monsters wandering slowly in your direction? No one likes to be stared at while they dance, but these zombies are staring at you like you're their next meal... Oh... You ARE their next meal. So this would be a good time to step out and grab some air, maybe hop in your car and leave. This costume combines all of the fun of a high school dance with a zombie styled look that only a homecoming queen could pull of. 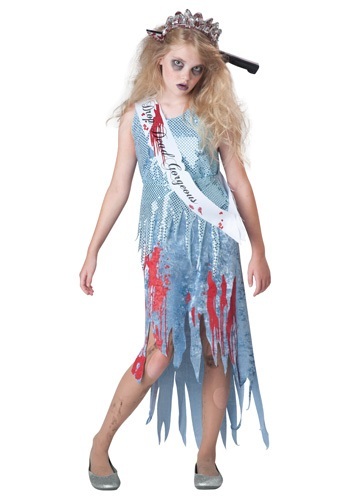 This costume comes in the form of a tattered dress, covered in sequins. 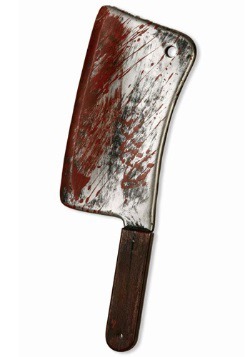 The bottom edges are jagged and torn and there are even bloodstains across the front. 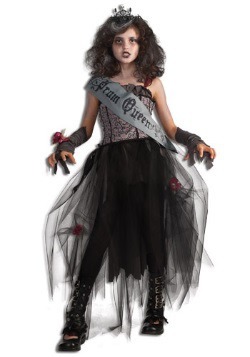 It comes with a sash you'll wear over your shoulder that says "Drop Dead Gorgeous" and a tiara. Attached to the sequined tiara are the fake knife and knife handle, so you will look like you had quite the accident earlier that night!